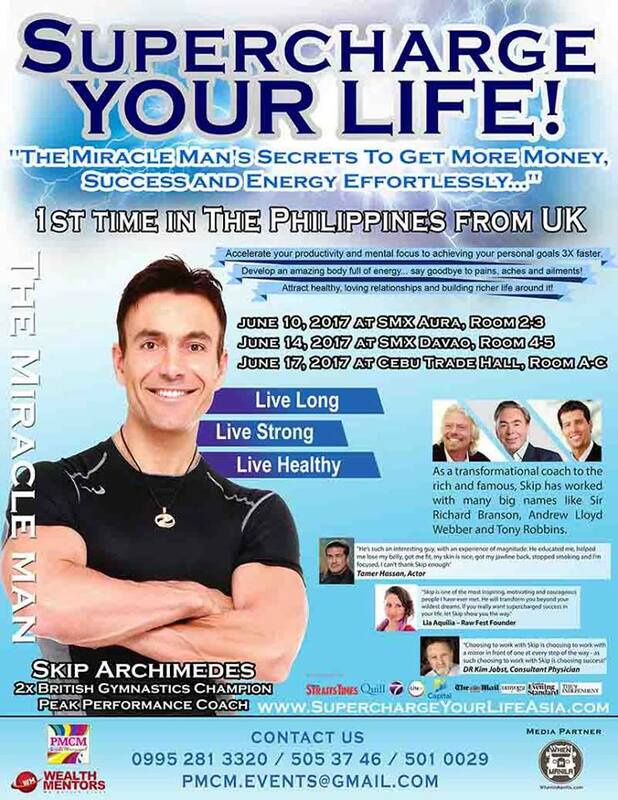 A Once In A Lifetime Opportunity to SuperCharge Your Life! It is easy to give up on life when the going gets tough. It takes not only strong will and determination but the right mindset. A few people can overcome the greatest adversities and they serve as our inspiration. They just won't give up! Skip began his career as a competitive gymnast and reached the heights of British Gymnastic Champion. Then during a training session, he experienced a living nightmare and broke his back! Doctors and Specialists said he would never walk again! Unwilling to accept defeat, Skip went on a mission to find a cure. With intensive research and within just 6 months, Skip began to learn how to walk again. And in just 18 months, his body returned to full recovery and became British Gymnastics Champion again!